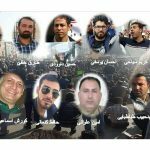 More arrests of Ahvaz steelworkers by the Iranian regime’s repressive forces, in a bid to intimidate the workers to end their strike. Iranian agents carried out raids on the homes of steelworkers in Ahvaz for the second consecutive night. Dozens of workers that were arrested on Sunday night over their involvement in recent protests remain in custody. Reports from MEK sources indicate that following the raids on Monday night, several more employees of the Iranian National Steel Industries Group (INSIG) are have been detained. The raids were part of a coordinated regime response to the Ahvaz steelworkers strike which has raged unabated for the last 39 days. What began as a strike over poor working conditions and regime corruption, has evolved into a stand-off as protestors refuse to disperse until the last steelworker has been freed from regime custody. Instead of negotiation, the regime has adopted an increasingly repressive and violent approach to the strikes. 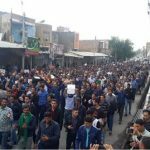 In recent weeks, the striking steelworkers of Ahvaz have received the support of the Iranian people. 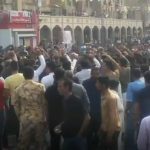 In a student protest ahead of Iran’s national student day earlier this month, the demonstrators chanted slogans in solidarity with the striking steelworkers in Ahvaz. 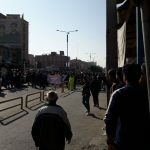 A brave student of Tehran University of Art calls for solidarity and support for workers of Ahvaz Steel and Haft Tappeh, truck drivers, teachers protests. On Tuesday morning, pensioners protesting outside the Parliament building in Tehran also voiced their support for the striking steelworkers. They engaged in chants of, “free the steelworkers” and “imprisoned workers must be freed”. 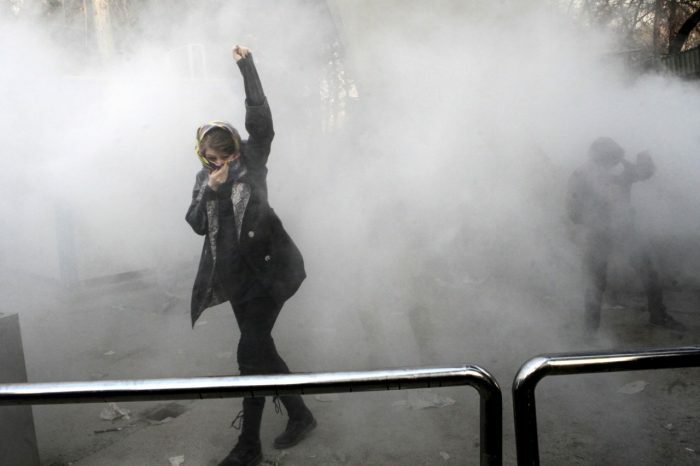 The most recent crackdown and midnight raids carried out at protestors’ homes speak volumes about the regime’s inability to deal with the rising tide of discontent that is sweeping across Iran. The clerical regime has carved out a position at the top through violence and oppression. As a result, it lacks mechanisms to engage with the population and meet their demands. Its only response is further violence and further suppression. While this may buy some time, it is not tenable in the long-term. 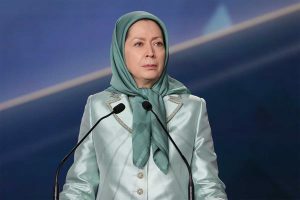 The Iranian resistance and the People’s Mujahedin Organisation of Iran (MEK) is growing more popular and stronger by the day. The Iranian public and its international allies increasingly view it as the only democratic alternative to the mullahs’ rule of terror. 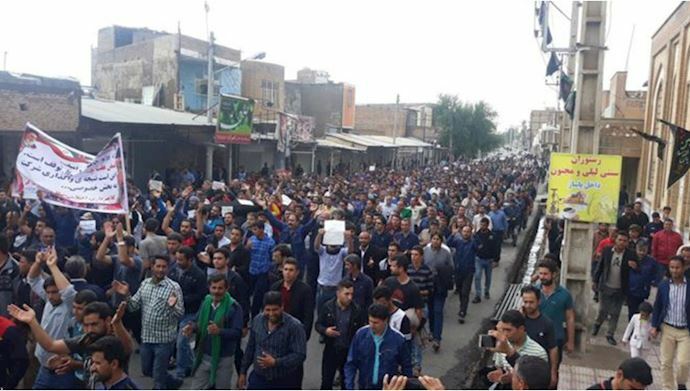 The MEK and the Iranian resistance have called on international organizations, NGOs, labor groups and trade unions from around the world to stand with the workers of Ahvaz, as the Iranian public is. 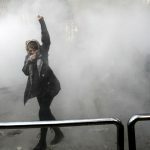 They have also urged Iranian citizens, in particular, the country’s youth and students to do what they can to support the striking workers and call on the regime to free those detained in regime custody. The photos published on the Social Media outlets show the pictures of some of the leading steelworkers’ activists who have been arrested and imprisoned by the regime in order to intimidate the workers and stop their protests. On Monday, regime security forces conducted the second consecutive night of raids in Ahvaz. 41 workers and representatives of the Iran National Steel Group were arrested in the late night raids on Sunday, and reports from the MEK network inside Iran indicate that more workers were arrested on Monday night. Residents reported that security forces violently attacked their houses in the middle of the night. Many Ahvaz steelworkers have opted to sleep on the streets rather than face arrest at the hands of the regime. 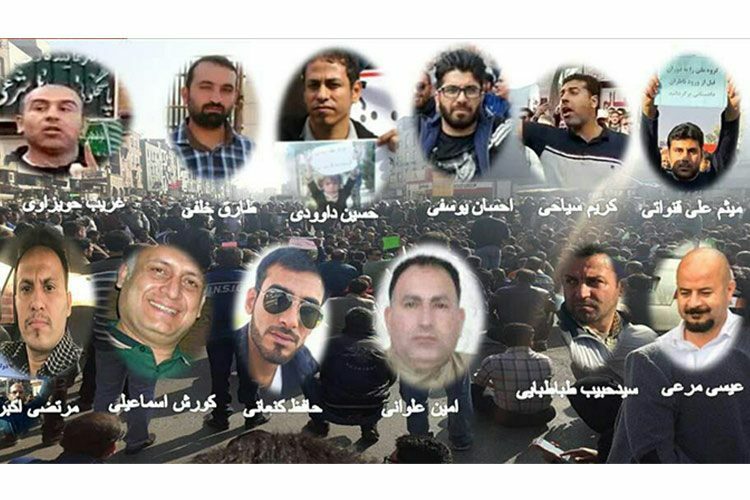 The 41 workers who were arrested on Sunday night have been transferred to Sheiban Prison in Ahvaz, according to Iran Workers Free Union. The Free Union held a meeting on Tuesday to discuss their plan of action. The union decided not to engage in further negotiations with officials until all of the workers were released from custody. 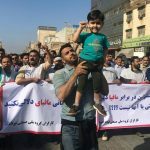 The Ahvaz steelworkers are on the 40th day of their strike, which has continued despite threats and intimidation from the regime. The Steelworkers say that they will strike until all of their colleagues have been released from prison. "The Thieves are free and the workers are in prison "
The Tehran Vahed Bus Syndicate also wrote a statement condemning the arrests. The arrested workers also received words of support from the U.S. Department of State. Robert J. Palladino, the Deputy Spokesperson for the State Department, tweeted in support of the steelworkers on the Department’s Farsi Twitter page. The same tweet was also translated into English and posted on Twitter. Esmail Bakhshi, the labor representative of the Haft Tappeh Sugarcane Factory who was recently released from custody, has been placed under house arrest. Ali Nejati, the former head of the Haft Tappeh Union, is still in detention. Nejati suffers from a heart condition. He was violently arrested in a raid on his home on November 29th. Despite its ratification of the UN’s International Convention on Civil and Political Rights and membership in the International Labor Organization, Iran does not allow its citizens to form labor unions. Citizens can receive harsh prison sentences or flog for organizing labor. 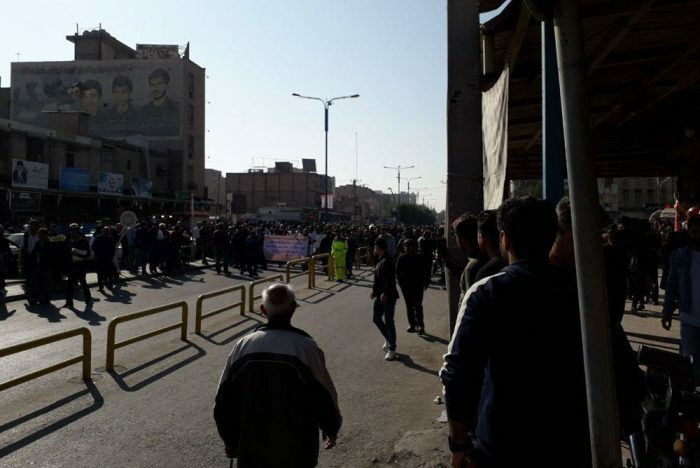 Reports from the MEK sources inside Iran indicate that workers from the Ahvaz National Steel Industrial Group reached the 32nd day of their strike on Tuesday. The steelworkers, who are striking in protest of months of unpaid wages, are struggling financially, and many of them have been forced to sell their homes in order to make ends meet. The state-run ILNA news agency reported that the steelworkers of the Ahvaz National Steel Industrial Group faced financial hardships even before the strikes due to their wages not being paid consistently or on time. The steelworkers have also demanded that their employers establish all production lines and supply necessary equipment and parts. In addition, they are asking that the factory he returned to government control. The steelworkers have seen conditions at the factory worsen under the direction of private investors, most of whom are connected to the regime, and who operate without any oversight. The Ahvaz Steel factory is located in Khuzestan Province, where most workers have large families, due to the dominant culture in the region. Iran is in the midst of an economic crisis, which has caused inflation and the price of goods to skyrocket. 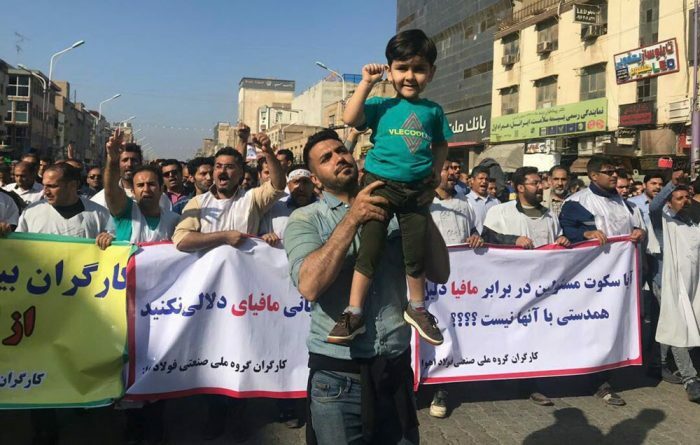 According to ILNA, these factors, combined with the workers’ unstable wages, have driven the steelworkers of Ahvaz and their families out of their homes. The Steelworkers also protested in front of the Jazayeri mosque. The demonstrators wore grave shrouds, which symbolizes their commitment to stand up for their cause no matter the cost. Protesters in Iran have begun to wear grave shrouds at anti-regime protests as the workers’ strikes and protests have gained momentum. 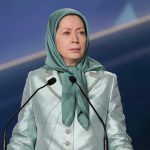 Also Maryam Rajavi, the Iranian opposition leader has urged the people of Ahvaz and particularly the youth to join the workers in unity. 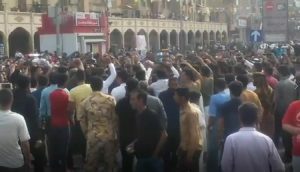 The MEK and the Iranian Opposition supports these protests and calls upon the Iranian people to stand with the striking workers in solidarity.